From almost the dawn of printing, printers have created special insignia to indicate their handiwork on the books that they produced. 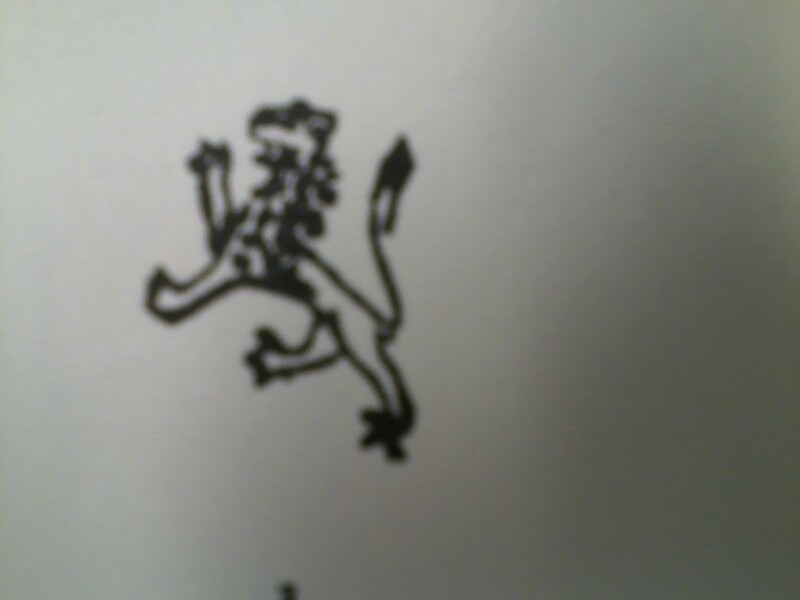 Jewish printers marks varied in design from the very simple (like the lion of Eliezer Alantansi in Hijar in the late 15th century, left), to the very complex (see below). The major source for printer's marks is still Avraham Ya'ari's Digle Ha-madpisim ha-ivriyim, published in Jerusalem in 1944. The use of printer's marks is not a surprising innovation; it was simply a way to brand a product, used even today. More surprising, however, was when scribes included printer's marks from known printers in handwritten books. The Columbia manuscript collection contains (at least) three instances of handwritten texts with printer's marks included within them. In all three cases, I can only guess at the reasoning. Suggestions are welcome! 1. The first (and most beautiful) copy of a printer's mark in the Columbia collection is a copy of the mark for the well-known Giustiniani press, of Venice. This image is at the end of a document detailing the Venetian Doge's decision on the status of the Jews of Corfu. 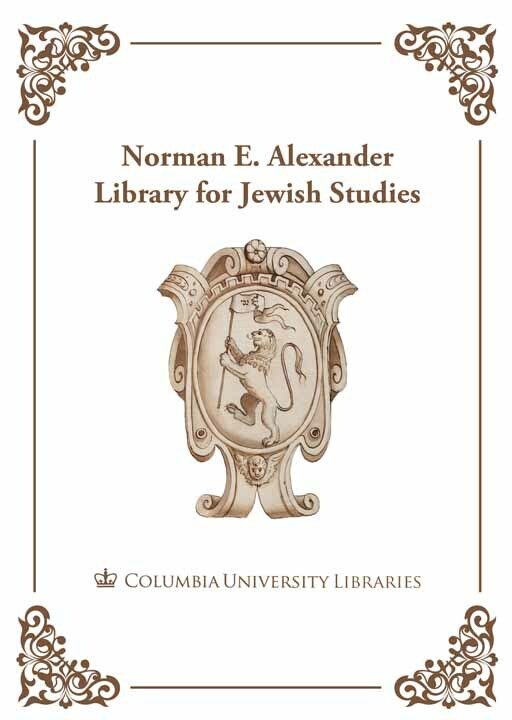 Perhaps this image was included as a not-so-subtle dig at the Jewish Greek community in Corfu, whose dispute with the Italian community there led to the Doge's response (which favored the Italians). 2. 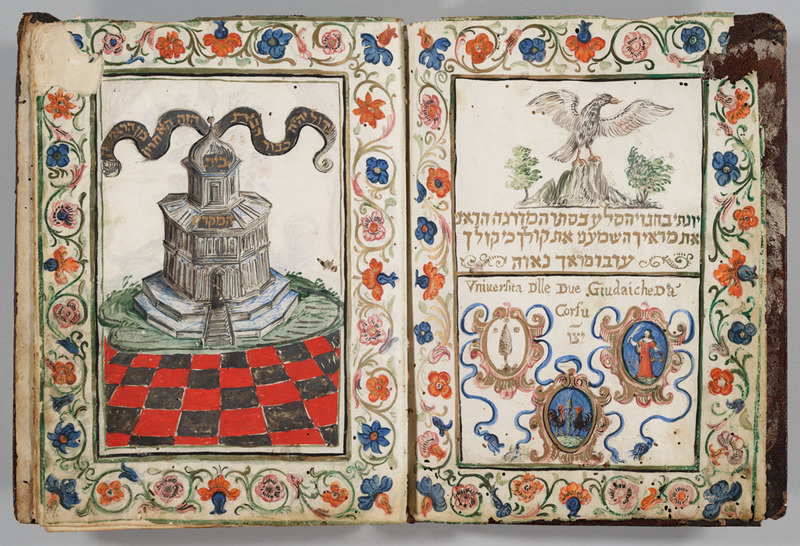 The second Giustiniani mark appears at the end of a prayerbook for the holiday of Sukkot produced in Avignon in 1772, following the rites of the Comtat Venaissin community. This book shows no obvious connection to Venice or Giustiniani, and so its use is unclear. 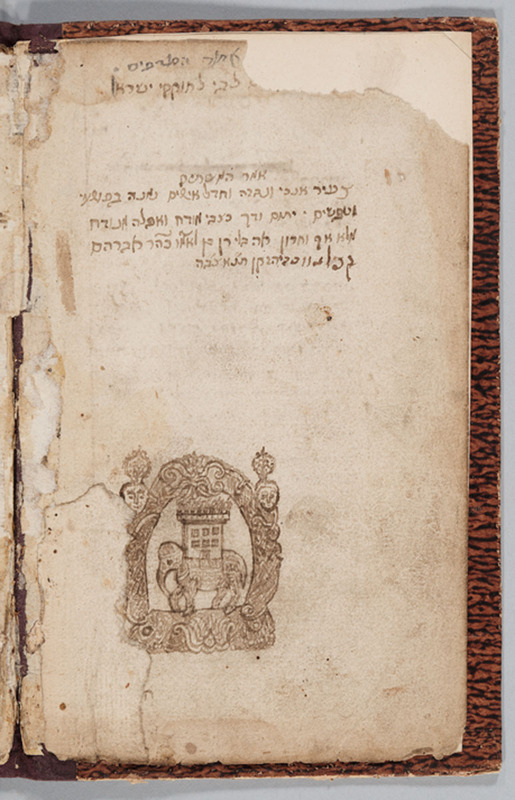 However, Ya'ari shows that at least one other press, the Prague press of Hayyim b. Jacob ha-Cohen (1604-1612), used a mark that was almost an exact copy of Giustiniani's mark – so perhaps it was simply a symbol of quality book production that the scribe wished to capitalize upon. 3. The third example of a printer's mark in a handwritten book comes is found in a book of proverbs. 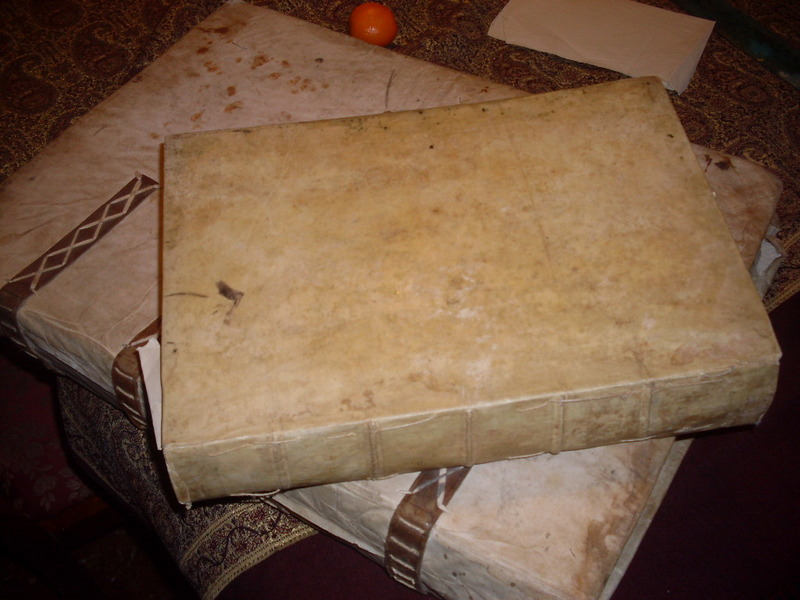 This is a very interesting case of a printed book that is preserved only in manuscript. 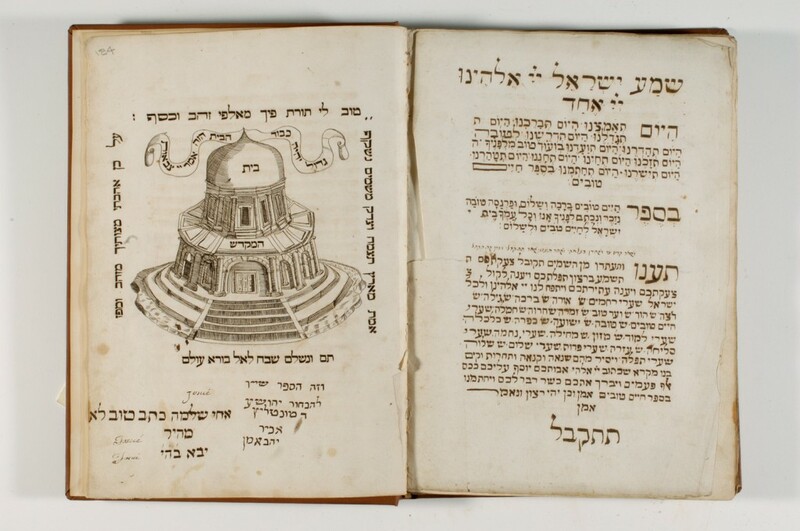 Yeshayahu Vinograd's Thesaurus of Hebrew Book cites a copy of this work Mishle Hakhamim, printed in Venice (in Yiddish, though! ), in 1566 – with no copy extant. Is this the last surviving copy of an edition of a printed text from the Cavalli press? This entry was posted in Uncategorized on December 19, 2013 by Michelle.